I doubt I'd ever meet anyone from CS (I'm not looking anymore)! I wish you all good luck finding that special one,whether is someone far away or someone one block away. It must be difficult to get to know someone who lives on the other side of the world. RE: Do you think,would very soon be a "divorce",between the EU and UK ??? Do you think,would very soon be a "divorce",between the EU and UK ??? Even if UK divorce EU, UK has to pay a lot of money to gain the EU market, but with no influence. Staying outside EU, UK would simply has to follow the rules EU decides. This is just how it was for Sweden before joining the EU. Norway, as a non-member in the EU, has to pay an annual fee just to get access to the EU-market. RE: What is your name spelled backwards? You'll have to look for shorter women now! Breakfast in the bed would be nice! Do you really think a woman would take you seriously? Good luck bybylove, hope you'll find what you're looking for. If women are such liers, why not look for a man instead? I miss "the good old times", when we didn't have cell phones! RE: do u think a long distance can work ? For some people it could work, if you're willing to put all your money on travels! RE: What are you looking for in the site? I'm just here to do some puzzles. Added this, so we get more variation in letters! That's what scammers usually do! Why bother about this kind of mails at all? I wonder what Ali will do with this information! I think it’s great there’s room for all people on CS. Can you really be sure “single” people on CS are really single? Use the SEARCH engine function for finding singles. It’s a faster way than trying to figure out who’s single on the forum! I know the search engine will also give you all scammers. By the way, has anyone met a scammer who’s not single? Winter tyres (with or without spikes/studs) are compulsory from 1 December until 31 March for Swedish registered vehicles and trailers and also for foreign registered vehicles. You are allowed to drive on winter tyres from October 1st until mid-April. If it’s snowy and icy roads like in north, we can change to summer tyres later. It's the same in Finland. 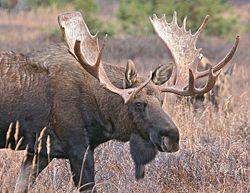 Hi Ali, I hope there are no moose running on your fields!